Press - News you can Use. CHICAGO — Downsizing or job hunting got you down? Anticipating the holiday blues? Or is Mother Nature just messing with you again? Whether you're dreading those weight-adding, nerve-wracking holidays, reinventing yourself for work, or battling the effects of PMS, pregnancy or menopause, hair artist Susan MacCoy has good news for you. Women of all ages can look and feel fresher and renewed — not to mention up to 20 years younger — in less than 90 minutes. Susan advises wiping away those tired looks with professional day spa Quick Fixes (see below), a series of helpful hints and tips for improving your appearance. Day spa beauty packages are generally available combining different spa services. For more information, contact Elizabeth Adam Salon and Day Spa or Susan Maccoy directly at 312-635-5116. The 5-Minute Cuticle Fix: Your hands say so much about you and can look tired even when the rest of you doesn't. So keep them in shape! Apply cuticle oil or "9.1.1." treatment on nail bed, cuticles, and calluses, and rub away dry skin with a pumice stone or white buff bar (manicure and treatment salon cost: $21). The 10-Minute Anti-wrinkle Fix: Putting in too much overtime? Newborn keeping you awake? Or did you just party too late last night? Apply Eyesential Under Eye Enhancer. This non-surgical eye lift works in 10 short minutes and lasts for hours (retail cost for home use: $59). The 15-Minute Hair Condition Fix: Banish drooping locks and split ends! Get a deep conditioning treatment to add flexibility, which affects the longevity of a hairstyle and allows it to bounce and move in the shape it is cut (retail cost for home use, 6 treatments: $13-20). Pro Tip: buy professional conditioner from your hairstylist; after applying, wrap your hair in a hot towel for super professional results. The 20-Minute Fuzzy Fix: Wax away unwanted facial hair caused by hormonal shifts. Don't forget to have your eyebrows shaped at the same time (salon cost: eyebrows $15, lip and chin $30). The 30-Minute Make-up Fix: Still wearing that lip gloss you loved in college? Re-evaluate your make-up colors and techniques periodically with a 30-Minute Make-up Makeover. "Remember, your skin tones and facial shape have changed. We have a tendency to try the same techniques and colors we used as younger adults," even if they are no longer appropriate, a tip from Elizabeth Adam's Day Spa's head make-up artist (salon cost: $45). The 45-Minute Hairstyle Fix: Is your "do" dated? Upgrade to a wash-and-wear cut with a new shape that wind, work, or menopausal hot flashes cannot destroy in five short minutes. A hairstyle that can be washed and blown dry is a blessing on an exhausting day. The benefit of having your hairstyle "enter the millennium" is that when you look contemporary, you'll feel contemporary. (salon cost: $65-$100). The 30-to-60-Minute Haircolor Fix: A single swipe of bright color may work for the club scene, but sometimes you need help that's a bit more subtle than a streak of shocking pink. Highlights and lowlights are the tool of choice for making your own hair color more dramatic, regardless of age. What you may not know is that the technique also works wonderfully for that unwanted gray hair. Nothing ages your appearance faster than gray — so wash away those cold grays in favor of a warm blonde in a one-step blending process to bring out the natural glow of skin tones! Or, weave in blonde highlights and add deeper lowlights than your natural hair color throughout your hair. This blending technique will make your gray hair totally invisible and lasts for months before needing to be recolored. (salon cost: $45 and up). The 60-Minute Foot Fix: If your're working to maintain the rest of your body, don't forget your feet! A professional aromatherapy session pedicure with Sea Salt & Papaya Enzyme exfoliates dry skin and removes calluses from toes and feet, trims toenails to a flattering shape, and paints toenails in today's colors (salon cost: $45). Throw in a foot massage, and you're in heaven. Pro Tip: purchase your nail color from the manicurist for quick home touch ups. Include the purchase of a pumice bar (retail: $3.50) to keep that smooth, pretty-pedicure feeling twice as long. The 60-Minute Pamper Fix: Here's stress management that should be a regular part of your routine. An hour of professional, stress-relieving massage therapy (salon cost: $75) can transport you to a new relaxed and beautiful attitude adjustment. The 90-Minute Face Fix: Environmental factors, inadequate sleep, and worry can take their toll on your face more than age does. Make your skin glow with a custom-blended facial to peel away dead tissue. Exfoliate, cleanse, and hydrate facial skin, then have a massage to recondition skin and muscle tone. Custom skin treatments, a trademark of Elizabeth Adam Skin Clinic, include ECHO2 Oxygenation Treatment, an oxygen cocktail of 87 vitamins, minerals, amino acids and enzymes; vitamin/herbal treatments, and glycolic acid + vitamin C treatments. The result: a radiant look (salon cost: $75 and up). 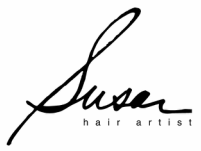 Susan Maccoy is a talented hair artist, image consultant, beauty educator, consultant to the hair care industry, and expert for the legal profession. Winner of the Today's Chicago Woman Reader's Choice Award, Gold Coast Magazine's Chicago Stylist of the Year, the Clairol Hair Fashion Award, and Glemby International's Outstanding Achievement Award, Ms. Maccoy is the creator of the ProWorks Professional Haircare System and a master haircoloring expert. She divides her time and consulting services between Chicago and West Palm Beach. Her Chicago practice is based at Elizabeth Adam Salon and Day Spa in Water Tower Place.